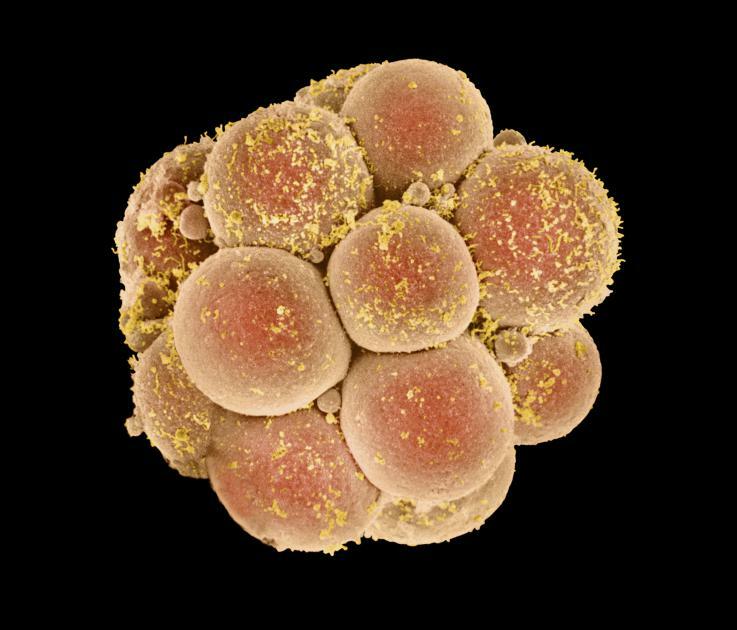 This is an embryo at the 16-cell stage, when it has changed from a zygote into a morula. It is in the process of dividing into a hollow ball of cells – the blastocyst – which will eventually implant in the lining of the uterus. Significant changes are taking place daily within your uterus and within just 72 hours from now, the fertilized egg will implant. Around four days following fertilization fluid begins to collect within the morula. This creates a separate outer cell layer, one cell thick, that encapsulates an inner mass of cells. The inner layer will become the embryo, and the outer layer the placenta. The whole structure now consists of approximately 58 cells and is termed the “blastocyst”. The blastocyst spends several days within the cavity of the uterus before implanting. The morula had an impenetrable outer surface as it travelled, but this disappears as the blastocyst prepares for implantation. Why are people so interested in whether or not I’ve conceived? I certainly found that once I’d told people I was trying for a baby, they were inordinately interested in the process. It was difficult, especially in the week when I was waiting to find out if I’d conceived. The best way to deal with it is to respond by saying that you’ll let people know if there’s news. If you’re struggling to conceive, telling people you’re having difficulties should help to stop them from asking. If you’re having difficulty conceiving, or just want to improve your chances, consider using a complementary therapy. Always inform the practitioner that you might be pregnant. Reflexology works by manipulating pressure points in the feet to improve energy flow to specific parts of the body. While there is plenty of anecdotal evidence that reflexology helps conception, this isn’t currently backed up by scientific research. However, it may help to relieve stress, which can be a factor in couples who have problems conceiving. Acupuncture works on the principle that problems such as infertility are caused by blockages in the body’s energy flow or “chi”. By inserting tiny needles into energy points that are linked to the reproductive organs, the flow is restored. In 2008, after reviewing seven studies of more than 1,300 women having fertility treatment, researchers concluded that acupuncture given around the time of embryo transfer increases the chances of pregnancy. It’s not as clear whether acupuncture can improve fertility in couples not undergoing treatment, but it is thought to boost male fertility by improving sperm health and reducing stress, a factor that can impede the chances of conception. Hi, I have just stepped into seventh month but not.. I am 32 weeks pregnant and staying alone what are..
Hi... I am 20 week pregnant. My doctor has not sug..